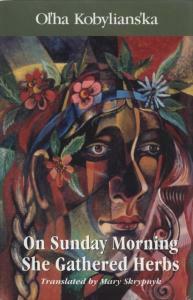 The novel is based on the traditional Ukrainian folk song "Oi, ne khody Hrytsiu". The tragic story of a young man torn between two women and poisoned by one of them lends itself readily to literary interpretations. But in Kobylianska's interpretation, this is far more than a melodramatic love story with a predictable ending. It is not merely the love story of Tetiana and Hryts: it is a story of the eternal conflict between passion and reason, between personal happiness and social constraints, between freedom and its practical limitations. Kobylianska turns the love story into a feminist exploration of the psychology of two strong women, Tetiana and her mentor (and Hryts's mother) Mavra. Like figures in a classical Greek tragedy, Kobylianska's characters move in a graceful, stylized narrative ballet toward their inevitable fate, leading the reader into an ever-deepening thematic exploration of human emotions and social conventions.